If we’re being honest, most of America has a negative opinion of mobile homes. It’s understandable because there’s more negative news coverage than positive, and most people don’t know how the industry has progressed. For those of us who do, mobile homes are more than just alternative dwellings. They are lifestyles that offer us everything we wanted in a home and more. These 6 mobile home bloggers will help change the way you look at mobile homes. Photo Courtesy of “My Heart’s Song”. 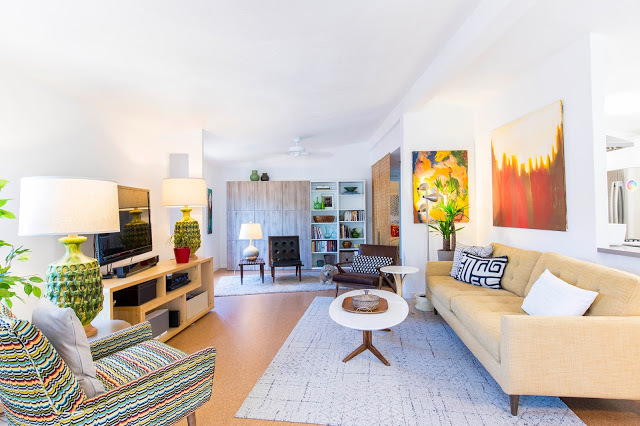 Don’t miss these stunning photos of a renovated 1 bedroom, 2 bathroom single wide home. 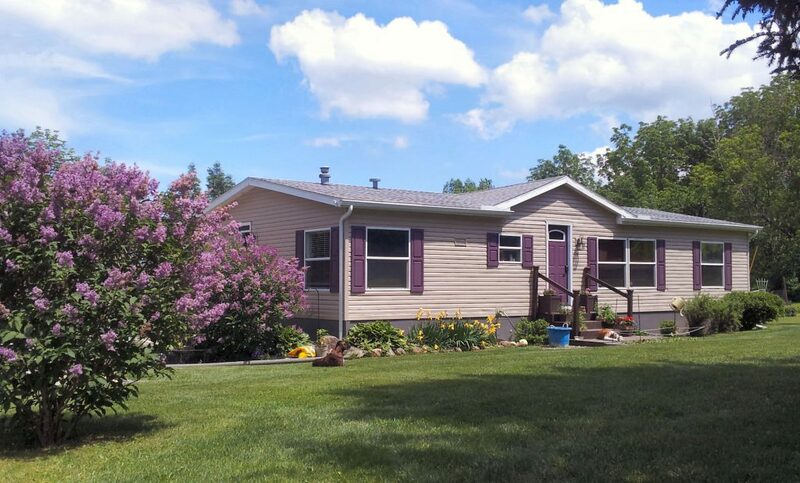 This retired couple knew they wanted to downsize and when they decided on a mobile home, they knew a major renovation was in store. From gaudy wallpaper to green counters, they turned this single wide mobile home in a beautiful haven. Photo Courtesy of My Mod Mod Mobile Home. When this couple retired, they sold their large home and had to move into their “spare digs”. Kim wasn’t thrilled with the idea of living in a mobile home, unhappily referred to as a trailer. 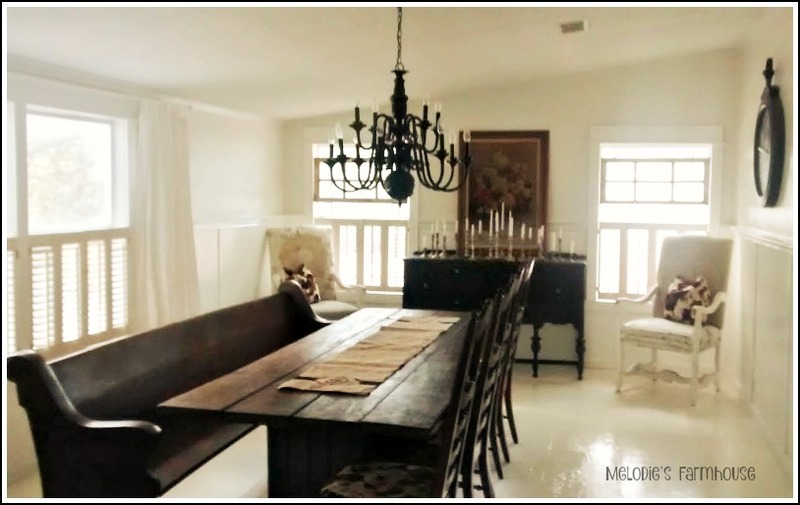 The before and after pictures will blow your mind as they create a space that’s unique, fresh, bright and modern. 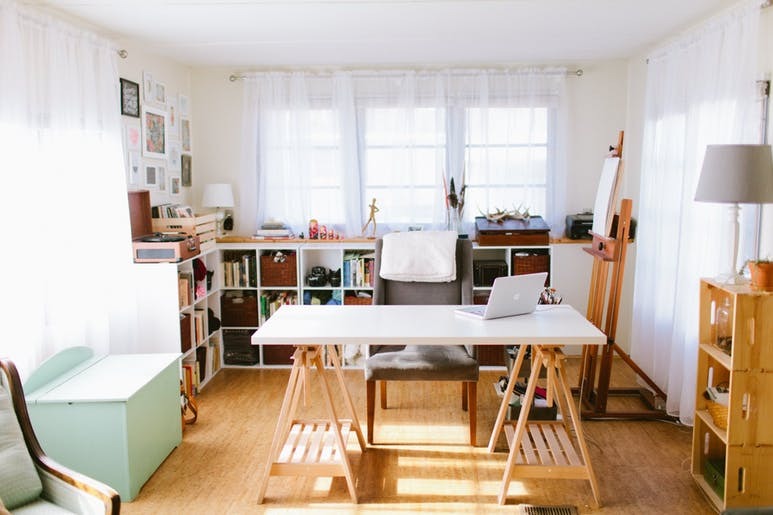 Photo Courtesy of Apartment Therapy. This young couple was tired of renting, so they decided to “screw convention”. They purchased a smaller 750 square foot home and worked to make it their own. It has a definite unique and hipster vibe, but the clean lines with white and pops of color make it a fun space. 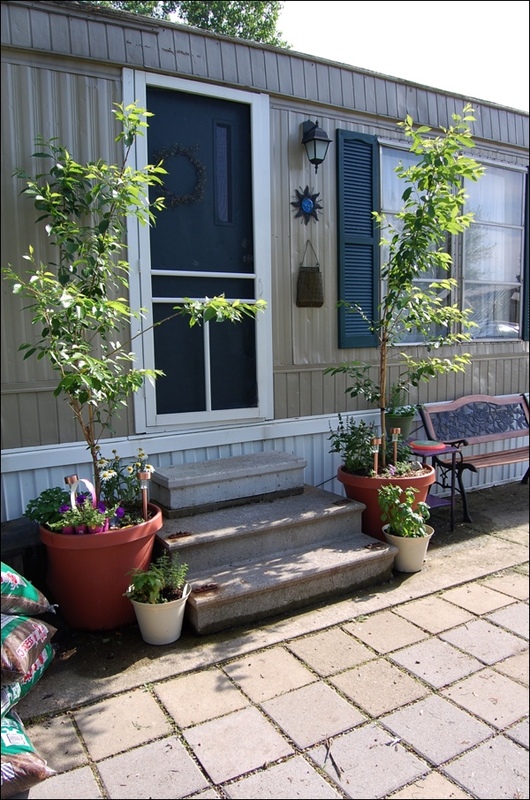 Check out the awesome transformation and find out how mobile homes are for everyone. Photo Courtesy of Mobile Home Woman. This isn’t a makeover story, but it’s nice to see a family living on a beautiful farm in their cozy mobile home. This family has lots of animals and has a nice little Etsy shop, too. You can follow their adventures and see the big lifestyle you can live in a mobile home. Photo Courtesy of My Mobile Home Makeover. See how this couple is making a double wide mobile home their own one project at a time. Watch as they learn and love on their adventure. The best part of their blog is that they are trying to help others who want to renovate their mobile homes as well. Photo Courtesy of Clayton Homes. It’s no secret America has an affordable housing crisis. With homeownership outside the reach of many Americans, they are often left paying exorbitant rent prices. To fight back against the crisis, and to challenge the stigmas associated with manufactured homes, one builder has launched its biggest marketing campaign to date. Clayton homes, one of the largest home builders in the country, launched the Have it Made initiative nationwide on Sep. 2. The 60-second commercial aired during the University of Alabama and Florida State University football game, and represents the company’s mission to provide quality homes at affordable prices, says Kevin Clayton, CEO of Clayton Homes. “With the cost of homes skyrocketing, we want people to know that buying a beautiful new home at an affordable price is still an attainable dream for Americans,” he says. Partnering with the Boulder, Colorado ad agency, Made, Clayton homes hopes to position itself as a solution to the growing need for affordable housing. The U.S. Census Bureau reports the average cost of a new single family site-built home with land is approaching $380,000 while today’s manufactured home can be purchased for significantly less–about $70,100 not including land. Have It Made challenges the stigma associated with homes built in factories and delivered in sections to their final locations. Clayton Built homes are constructed indoors to avoid water damage and weather delays while creating long-term value from the use of economies of scale. The homes are built to highly regulated building standards and offer many energy-efficient features, the company says. According to the National Association of Home Builder’s latest survey of home buyer preferences, Energy Star appliances and windows, along with an overall Energy Star rating, were among the top-5 most wanted features. Other wanted features include a programmable thermostat, which is available as an upgrade in Clayton Homes. New manufactured homes are comparable to site-built homes in not only quality, but also style. One of Clayton’s luxury homes comes in at over 2,200 square feet and features three bedrooms, plus two full baths. The Captain Jack includes features such as granite counters, a kitchen island, a breakfast bar, glass enclosed large showers, a fireplace and more. You won’t believe the styles and upgrades that are available for new manufactured homes. It’s time to end the stigma and make affordable housing available to Americans again. 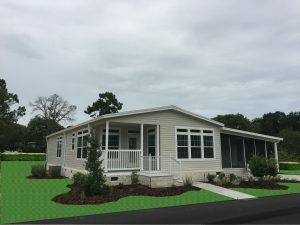 New manufactured home for sale, Ocala, FL. In today’s hot real estate market and struggling economy, purchasing a home is a daunting task. That’s why more buyers than ever before are turning towards manufactured housing as an affordable solution. 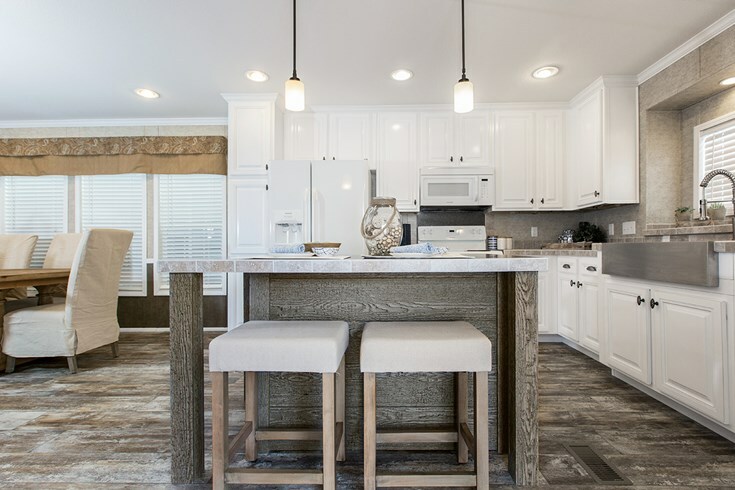 New construction manufactured homes are built to impress, with modern stylish features and energy efficient standards that rival that of comparable site-built homes. That said, manufactured homes were traditionally difficult to finance. A bipartisan group of senators recently introduced a bill that would protect the ability of manufactured home buyers to buy, sell and refinance homes. The Preserving Access to Manufactured Hosuing Act, seeks to address the 2014 Consumer Financial Protection Bureau’s guidelines to expand the range of loan products considered high-cost mortgages under the Home Ownership and Equity Protection Act. In layman’s terms, the guidelines would label many small-balance manufactured home loans “high-cost”, which results in increased lender liabilities. That means, lenders are less likely to have loans available for those seeking to purchase manufactured housing. The bill hopes to put an end to the one-size-fits-all regulations that don’t recognize the unique nature of manufactured housing loans, according to Pat Toomey (R-PA), a sponsor of the bill. The bill’s sponsors hope it will help families have access to affordable housing, that might otherwise be prevented under current legislation. Luckily, new lenders like Fannie Mae, Freddie Mac and Wells Fargo are looking to provide manufactured housing loans. In 2015, Wells Fargo hired two experienced manufactured housing executives to help expand into the industry, Matt Krasinski and Lew Grace of GE Capiutal Real Estate. Krasinski worked as the associate director for North American lending, responsible for originating loans for manufactured homes and RVs. Grace was the head of manufactured home communities lending and investments. This comes after Wells Fargo acquired a $9 billion portfolio of commercial real estate loans from GE Capital Real Estate, a portion of which is MHC-focused. The national bank is looking to serve customers in the growing manufactured housing industry. “Expanding our balance sheet lending in this sector, combined with Wells Fargo’s existing product capabilities, provides a full-spectrum of solutions for customers in the manufactured home communities industry,” says Mark Myers, head of Commercial Real Estate at the bank. It’s exciting to see positive opportunities in the manufactured housing industry. At Newby Management, we are excited to offer new 2017 homes in many of our communities. Making lending easier for residents will give more people the opportunity to purchase brand new homes. Whether you’re purchasing a home that has been loved or one that’s new, Newby Management wants to help. We’re here to assist you on this exciting journey. We encourage you to visit our realty website www.NewbyRealty.com to see what we have available now. Get personal help from our sales team at sales@NewbyRealty.com, and speak to our expert in the field. We can help you find the perfect home in one of our amazing communities. 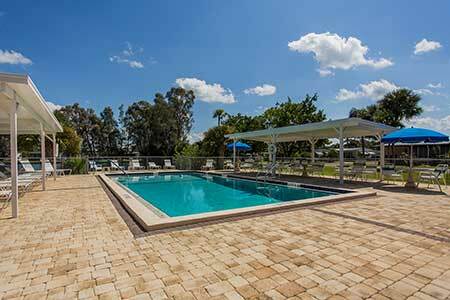 Camelot Lakes, a luxury 55+ manufactured home community in Sarasota, FL. If you grew up in a small town, you’ll remember that feeling of community, that sense of living where everyone knew your name. What if you could recapture that feeling? In manufactured home land-leased communities, that feeling is alive and well. There is often a sense of safety and security within these communities, where residents care about the well-being and health of their neighbors. In land-lease communities, you will own your home, but rent the land on which the home sits. Depending on the community, these fees can range from $300-1,000. In many communities, your monthly fee will cover lawn care, water treatment, and the use of community amenities. In resort-style communities, your fee may be slightly higher, but will often include access to luxury amenities. For instance, in Rolling Greens, a 55+ luxury manufactured home community in Ocala, the amenities are state-of-the-art. In this community, the lot rent includes base rent, water/sewer, lawn maintenance and curbside trash service. Residents also get to enjoy numerous amenities, from a new state-of-the-art clubhouse, to the 18-hole executive golf course. Like other land-lease communities, Rolling Greens hosts monthly events, which helps establish a vibrant and active sense of community. When looking into land-lease communities, ask the manager about their guidelines to ensure they fit your lifestyle. These guidelines are in place to help maintain a pleasant environment for all residents, and to help ensure the protection of your investment. You’ll find that the guidelines encourage residents to take pride in their homes and their community. It’s something you’ll see as you drive down the street, and something you can count on. One great aspect of purchasing a home in a land-lease community is the low up-front costs. You won’t have property taxes assocaited with your home, nor will you have the up-front cost of purchasing land along with a home. If you’re looking for affordability, great amenities, a well-maintained neighborhood and a sense of community, land-lease manufactured homes are a great option. Lazy Days, a land-owned community in Fort Myers, Florida. Land lease communities offer a lot of benefits, but the downside is that you don’t own the land on which your home sits. In land-owned manufactured home communities, residents own both their homes and the land. When you purchase the land/lot in this type of community you will be purchasing the land with a specific legal description. The land price can range from $35,000 to $75,000. Monthly maintenance fees range from $100 to $300. Monthly dues are for the use of the facilities, amenities and common area. This option means you will not have to pay a larger monthly lot rent, but your initial costs will be much higher, as you will have to purchase the home and the land. Land-owned communities are a good option for people who have more money to invest. All lots in a Land Owned Subdivision will be owned by individual owners who form a Homeowners Association. The members of the Association elect a board of directors to manage common elements. Land-owned communities still feature much of that same small town feel as land-lease communities. 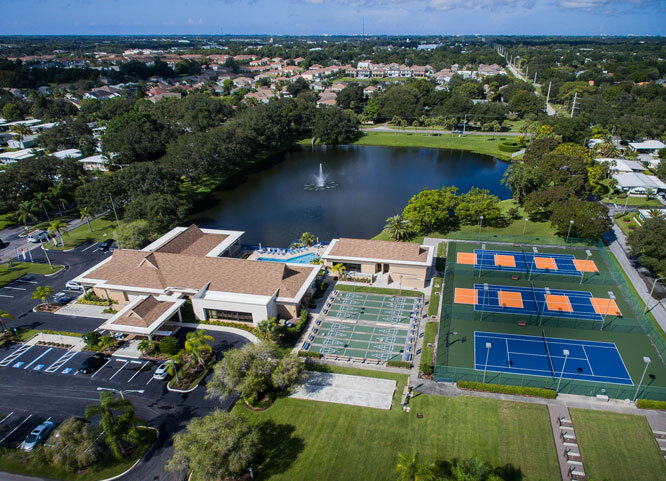 They will often host events and have resort-style amenities, just not as often as a land leased community. Choosing a manufactured home community can be daunting. Whatever you choose, be assured that you’ll make wonderful friends and have a home that you can love for years to come. Especially with new construction manufactured homes, you can expect all the same details and stylistic features you’d find in a comparable site-built home, with the added benefit of being energy efficient. If you’d like help selecting a manufactured home community in Florida, our dedicated team of specialists would love to help. Contact us to learn more, or to see what homes we have available for purchase and to rent. Whether you’re looking for something permanent or seasonal, we’re here to help!